What’s your favorite part about visiting a new place — the food? The architecture? The people watching?Photographers, artists, poets: show us NEW. I love the changes architecture, the difference in vegetation, trees, flowers, animals, etc. I am in Wisconsin. We don’t have any palm trees here! 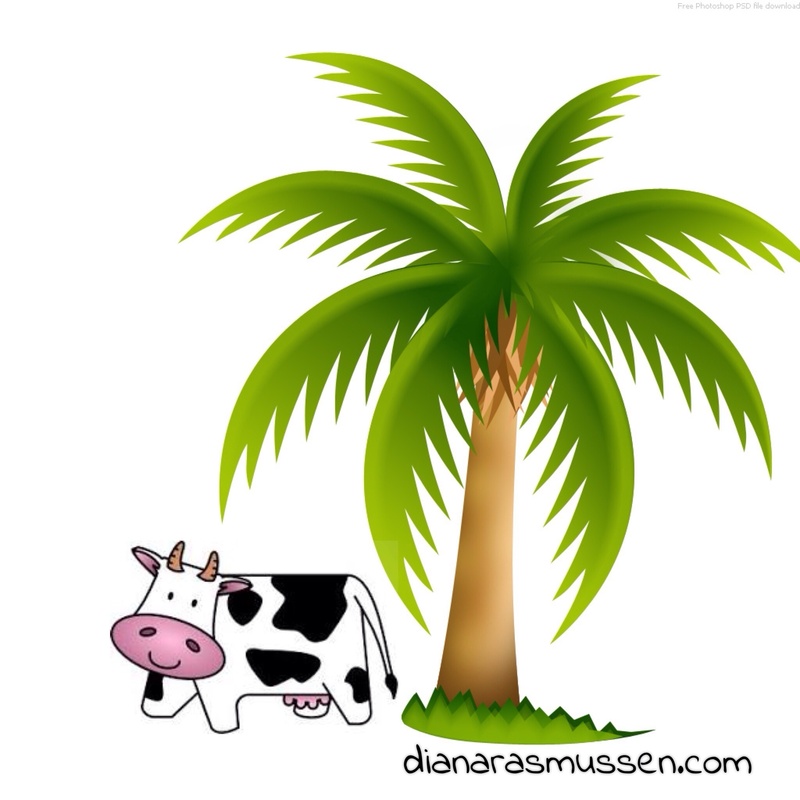 How can a girl milk a cow with no palm trees? And what about a cactus? I had a cactus once and I killed it, I think I over-watered it, or that’s what the plant people said. 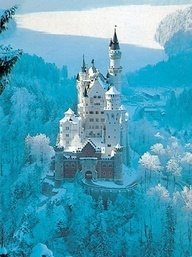 And, what about a castle? I think We need at least two or three somewhere in Wisconsin, don’t you think? It sure would be fun to visit. Or hey, lets move in, I want that circle room. People are different too. I love it! Ya’ll talk different you know, different languages, different culture. I admit, I’m a people watcher. Yep, kids are shopping at the mall and there Ms D sitting on the bench watching everyone. We sure are a strange bunch aren’t we? That’s what makes life interesting though, there is always something new to learn and someone new to meet! Glad to meet you! Hey should I use the cow for my logo? He’s kinda cute! Daily Prompt: Stranger in a Strange Land | blameyleeKatecations. | katie lou & other things too. Posted in Uncategorized and tagged Daily Post, Daily Prompt, postaday, Stranger in a Strange Land, Wisconsin. Bookmark the permalink. For me, the best part of experiencing a different milieu is doing it with someone I truly love! Very well said Daryl, thank you!